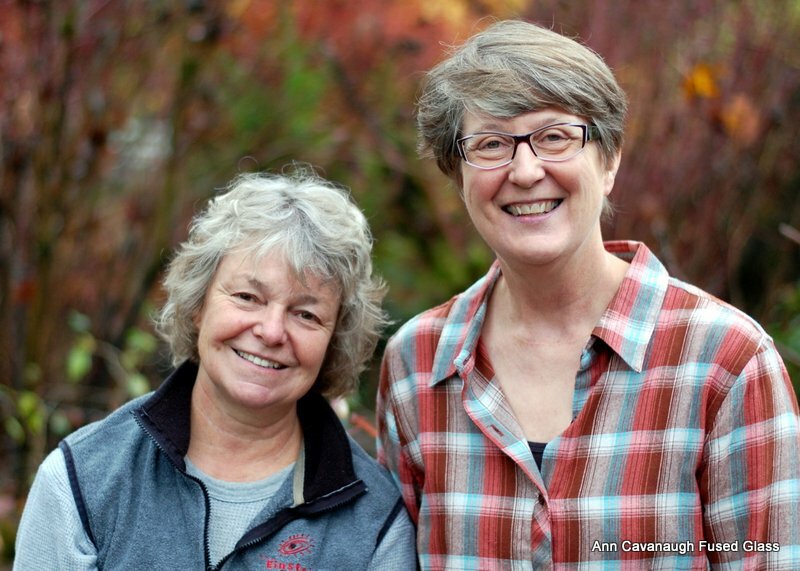 Clark County Studio Tours This Weekend! 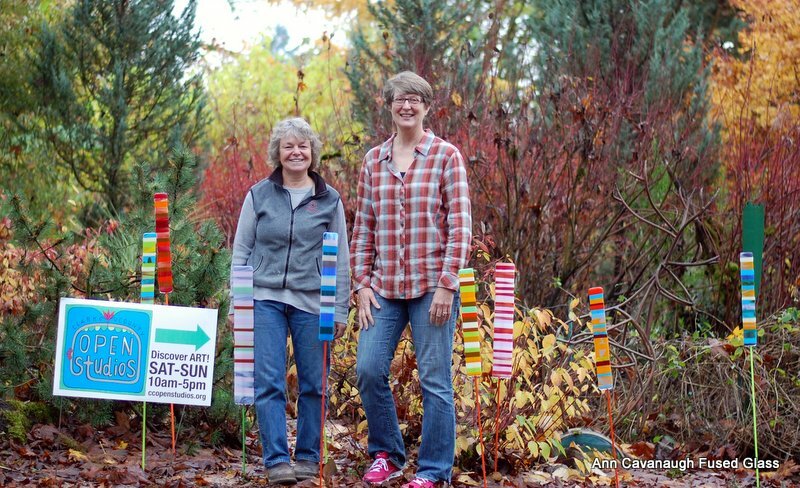 Ann has been hard at work with her friend Kerstin Hilton of If Wishes Were Fishes Glasswork, getting ready for this weekend’s visitors for the Arts of Clark County Studio Tour! The studios will be open from 10-5 this Saturday and Sunday (November 9-10). You can pick up a map at any of the stops on the tour, or print one out here before you head out. In addition to both artists having plenty of their own work available in the studio, they are excited to share their new collaborative pieces with the visitors. 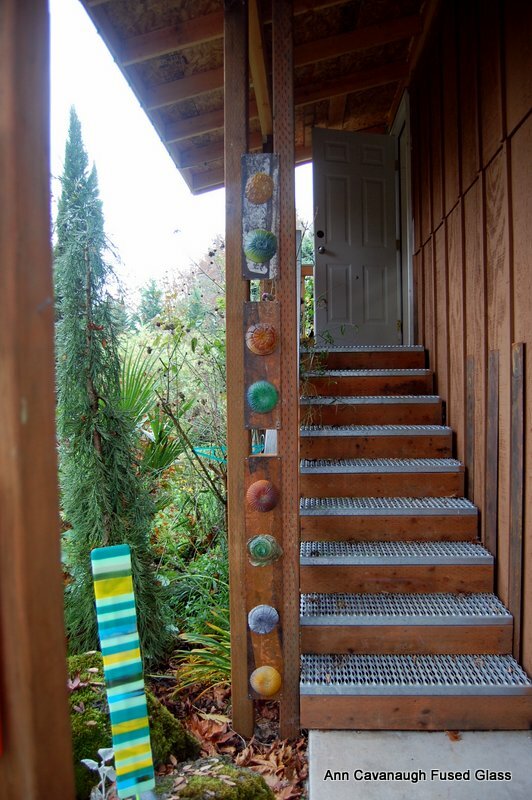 These indoor/outdoor sculptural pieces have many unique features. 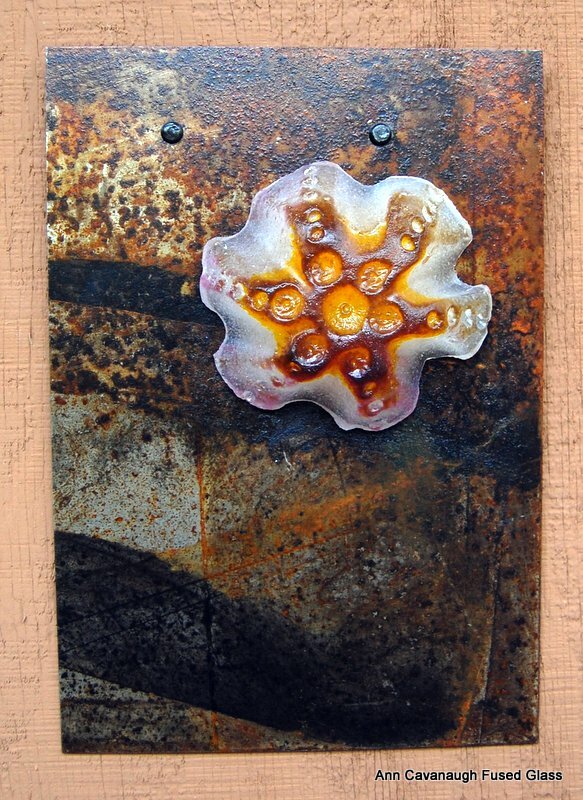 First, the metal backgrounds are made from reclaimed steel salvaged from a metal recycling yard. 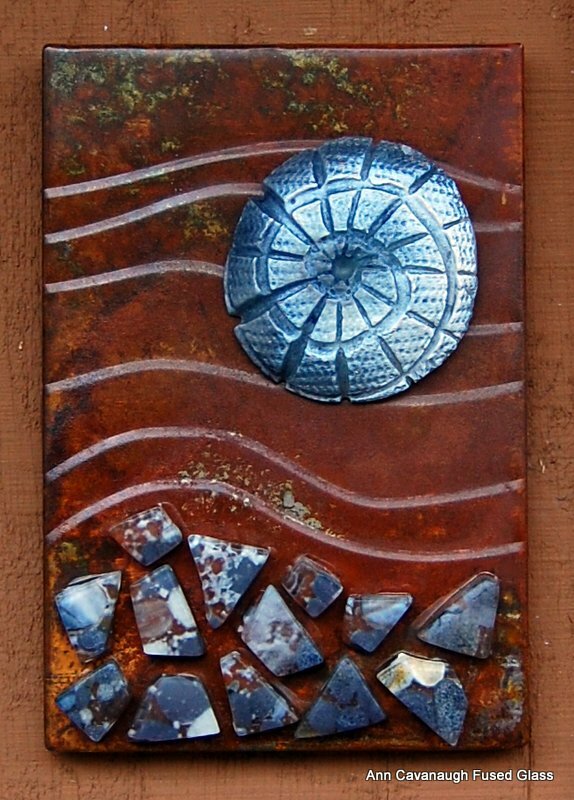 The pieces were chosen for their beautiful patinas, then rolled to create the wave textures. 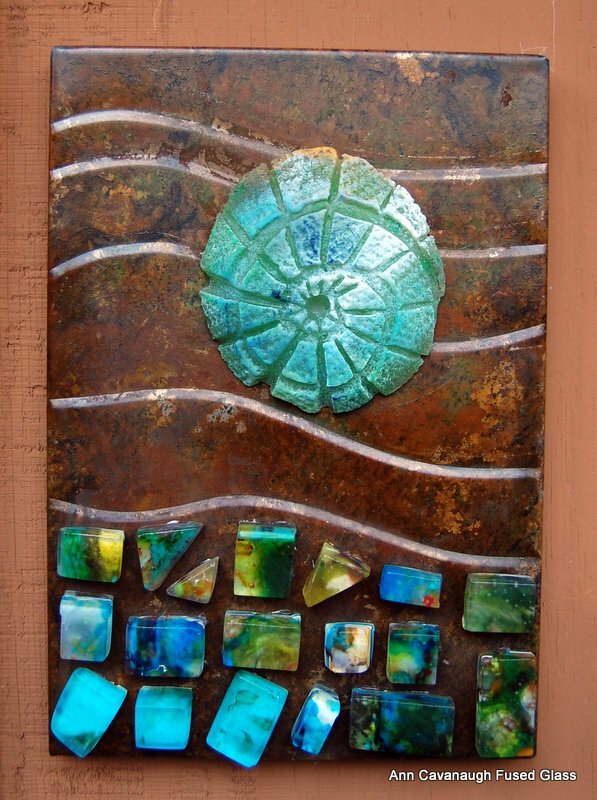 The artists then bent and soldered the metal into hanging boxes and secured the fused glass pebbles to the foreground. 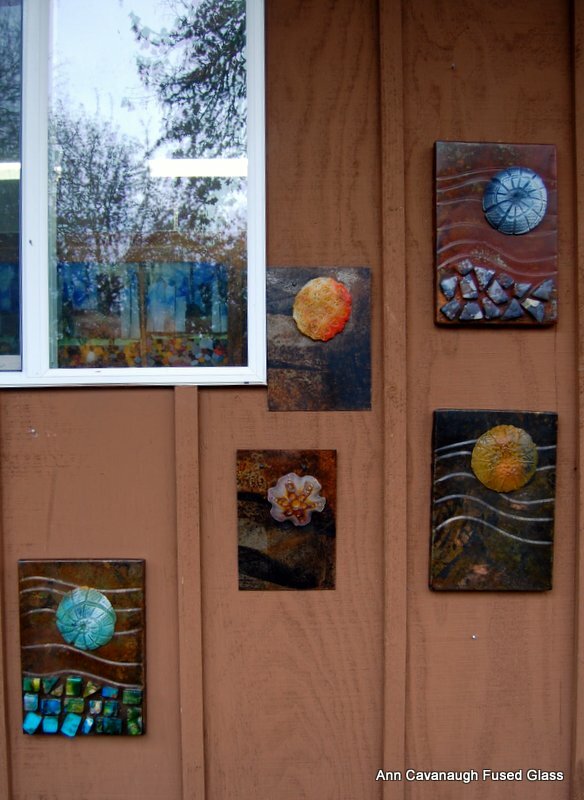 Finally, Ann and Kerstin created a variety of kiln-formed pate-de-verre organic shapes (which they have nicknamed “wonkie pods”), which adhere to the metal backdrops using an extra-strong magnet. This means the glass wonkie pods are interchangeable! 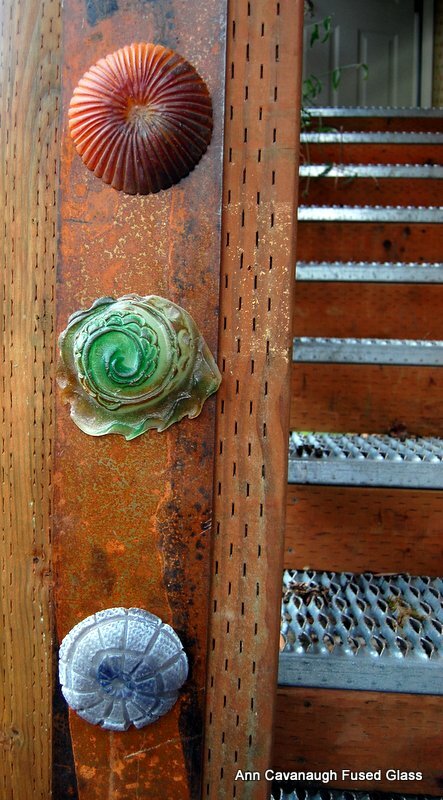 And it also means that they can adhere to other metal surfaces in your home and garden! And guess what else–the wonkie pods have a standard hanging bracket on the back as well, so you can hang them from any wall or post–no metal required. 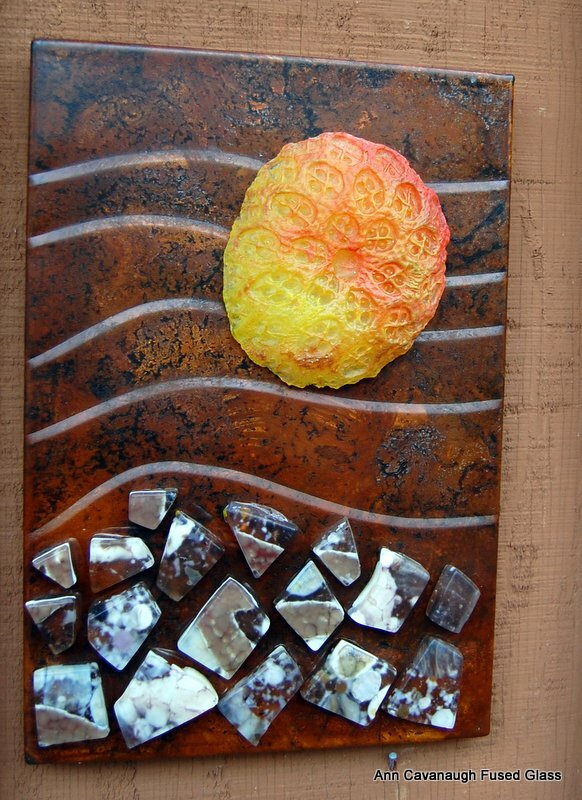 You have to see these unusual pieces for yourself, and try out some different combinations. This entry was posted in Art Shows, collaboration, New Work and tagged calendar, collaboration, events, new work. Bookmark the permalink.